What do you do when you can’t quite reach your target market? You change your approach. For Helen Pethybridge of ActionCoach this meant exploring the perks of Buckinghamshire Business First membership and the great opportunities that co-investing in the organisation can bring. “I was initially using social media sites like Facebook to promote ActionCoach, but I just wasn’t engaging with the types of businesses I needed to,” explains Helen. Helen quickly co-invested as a Partner of Buckinghamshire Business First, primarily in order to run her own workshops that would get her face to face with potential clients. “I really enjoy hosting workshops,” says Helen, who supports businesses through one to one or group coaching, 90 day business planning sessions, employee engagement programmes and training for business leaders. “The chance to speak directly to a group of people that you already know have an interest in what you offer and want to know more is a chance not to pass up. Helen would find more new business by delving into the other perks of Buckinghamshire Business First membership, including the series of Business Leaders’ Dinners that bring together the ambitious entrepreneurs that make the local business community thrive. Here Helen found an example of what can happen within an interconnected and supportive business community. “It was at a Business Leaders’ Dinner that I met with a representative of Barclays and he invited me to a seminar that they were running. It was at this seminar that I met a fellow business owner who I invited to one of my own workshops, and, long story short, I ended up doing business with him and his business partners! Taking on this one client gave me a quick return on my investment in Buckinghamshire Business First. One of the many useful features of the Buckinghamshire Business First website is the Q&A section within which businesses can support each other with their day to day dilemmas or longer term problems. Helen scoured the Q&A section to see if she could offer help to a fellow member and wound up connecting with two business owners whose questions she responded to. 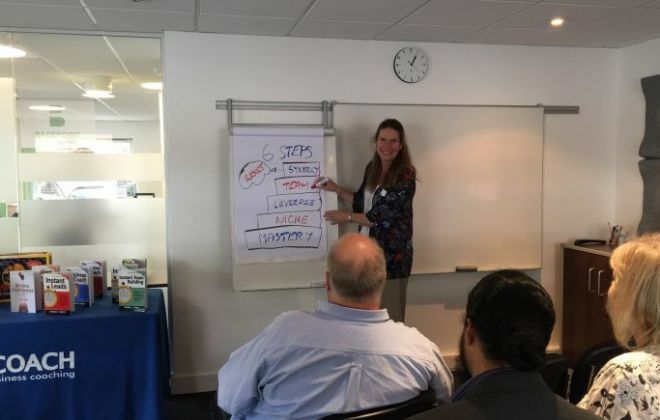 Helping businesses grow is what ActionCoach is all about, and helping businesses to do what they do best is what Buckinghamshire Business First is all about. By co-investing in Buckinghamshire Business First, ActionCoach has uncovered the secret to helping more businesses.